Three days until Timegate. I am a big fan of this convention. Its small, and you can actually meet people. Doesn't mean I will but the chance is there. You see time gate is what I call a focused convention. It focuses on two of fandoms: Doctor Who and Stargate. I find that there is a good overlap in the fans of these two franchises. It is a very friendly convention people like to talk to you (guests and other attendees alike) its small and it is generally just a really good time. This year Terrance Dicks is going to be there and for me that is exciting. As a child I saw Terrance's name on so many doctor who books and episodes there was a time that I thought he was the one who created doctor who, now while I know he didn't create doctor who I do know that he helped shape the franchise and much of what we have today is because of him or at least because of his involvement. We can thank him for most of the things that came out of the Pertwee era due to his involvement as script editor. Though he didn't create monsters like the Sontarans outright, he did have a hand in their creation. Later he would go on to write a few stories for the show including Robot, Horror of Fang Rock, and later the Five Doctors. Sometimes his stories were not the best but you knew you were watching doctor who when you watched them. If you never caught His name on the TV show you were pretty sure to catch a peak of it if you saw the Target novelisations of the stories. Terrance wrote a large number of these books. The scripts he wrote as well as scripts he didn't write. For me his name belongs with doctor who, and I am very excited about meeting him. I have questions to ask him, about stories and style, as well as about just working on the program, and his thoughts and memories about that. This is another one of my childhood fanboy dreams. Of course Tarrence Dicks isn't the only guest of interest for me at this con. Marry Tamm who played Romanna 1 in the key to time series will also be there. She is another character that is fascinating to me. She portrayed the first gallifreyan companion. She was elegant, and always tried to undermine the doctor's hands on knowledge as opposed to her book smarts, in the end the Doctor's Experience usually won through. Though I alwayspreferred Lalla Ward as Ramona Marry Tamm is still Ramona and I am excited to meet her. All in all I expect the con to be a very good time. I am looking froward to meeting friends (new and old) and just generally being around people who have this shared fandom. Cons for me is a time to be around people who are, in some ways, like me. And it is always good to have that from time to time. Generally I am not a fan of Disney movies. I just don't get them and usually they are boring to me. But there are a couple of them that I like, and one of them is Robin Hood. This is a movie that I think is generally overlooked in the Disney archive, but I think it is by far one of the best. This movie was probably one of the first adventure movies I was exposed to as a child. It has all of the elements you want, a cocky likable hero, a sidekick, people in need, a love interest, Sword fights, Bows and arrows, a singing rooster that narrates the story (voiced by Roger Miller), and of course a bumbling bad guy with equally bumbling lackeys. Not to mention a very likable soundtrack (much of which is performed by Roger Miller) which I will be singing for years to come. This was my first taste. . . my gateway drug if you will. . . of adventure fiction. Of course from there I discovered star wars and science fiction and fantasy, but somewhere in the back of my mind there is always Robin Hood (a fox) and Little John (a bear) walking through the forest, that defines adventure for me, and in a way I think most of what I watch now is probably judged next to that movie. I suppose I have said all of that to say this: "I don't think that Disney's Robin Hood gets the love it deserves." I think it is an incredible movie with superb animation and is a point to judge al other adventure movies by. Of course this is MY opinion so make your own. This movie is a must see if you haven't and a must watch again if you have. So take some time out and watch this great adventure movie especially if you have kids that really NEED an adventure movie, because it is a GREAT movie. As I have already stated I have been a Doctor Who fan since before I can remember. Growing up in the United States in the 80s loving a show like Doctor Who was hard. I watched Doctor who on a PBS station out of Georgia and waited with bated breath each Saturday night at 10:00 when it finally came on. Saturday night was Doctor Who night. We recorded every story we could so we could watch them again and again. The problem was that we were limited to what we knew by what we saw on the screen which at that time would have been the Pertwee, Baker, Davison eras and later the Colin Baker and Sylvester McCoy Eras. There were a lot of assumptions being made. At some point my dad had stumbled across a book called Doctor Who Illustrated A-Z by Lesley Standring and My brother and I would pour over the illustrations of the characters and try to piece things together. Each entry had a list of episodes the monsters or characters had appeared in. This book was my first indication that doctor who was bigger than what was on the screen every Saturday night. Fast forward into the 90s I was now aware that there was Doctor who magazine and would try to get that when I could, but I still wanted more. I wanted to find out every thing I could about this show. Then I began to find Reference books like The Program Guide By Jean-Marc Lofficeir which gave a very good description of all the stories, and some background about what went into making the stories, such as people who wrote, produced etc. . . This was my initiation into the back end of Doctor Who, my first realisation about what went on to create any TV show. as the years progressed I began to acquire Doctor Who stories on VHS as a store that carried them opened up in a near by city, so I would save my money and buy a second or first doctor story when I could. It was at that same store where I first stumbled across another great reference book. The Handbook: The Third Doctor by David Howe and Stephen James Walker is the book that really taught me about the behind the scenes goings on of Doctor Who. I read the book for hours, intrigued by the processes of television production. I was beginning to get a hold on the characters. . . not the character from the show but the characters that created the show. In the case of the third doctor it was Terrance Dicks and Barry Letts who were Script Editor and Producer respectively. I have said before that this is the book that made me want to go into Television production. As I went on and began to find used copies of older books I found many of Peter Haining's books such as Doctor Who: A Celebration which were all great resources of information. I still wanted more. By this time the Virgin New adventures were out and the canon was becoming hard for me to keep up with. even with the advent of the Internet it was hard to keep up with things. I had been eying several books that I wanted, but could never seem to find, so I broke down and ordered what turned into one of my all time favorite Doctor Who reference books "Doctor Who: A History of the Universe" by Lance Parkin. This book was a timeline of almost every adventure the doctor had to date. It was incredible. I read the entries on Gallifrey history, loving every word of it. I tried to piece together the Dalek's Timeline. The book was an adventure in its self. This book has been updated in a new edition . 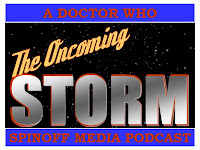 I highly recommend it if you are the least bit interested in the long history of doctor who. These are just a few of the books that got me through my exploration of Doctor Who since I was very young. Doctor Who reference books still hold a soft spot in my heart and I usually pick them up if I find them. There are still very good books coming out in regards to the new series, and even books for the old series. If you are interested in Doctor Who or any other Sci-Fi series give the reference books that are published for them a try, I think you will find them helpful. Why I want to do this! I am a fan of many things. I am especially fond of Science Fiction and fantasy, and with that many of the off shoots that often come with that, like Gaming etc. . . I have been intrigued by these fringe fictions/ TV shows/ Movies for as long as I can remember. I have been told that I have watched Doctor Who regularly since I was two years old. I honestly can't remember not knowing what Doctor Who was. I was raised on a steady diet of Adventure and Science fiction movies and TV, from Masters of the Universe and Star Wars, to the occasional (I never really caught the Star Trek Bug) Star Trek episode or movie etc. I have Been a raging Fanboy for as long as I can remember. This blog is two things for me. First I want it to be a memoir of my experiences of being a fan, thoughts about what I experienced mostly focusing on being a young doctor who fan in the US during the 80s. Second I will talk about my fandom now, and how I feel about fandom, as well as Genre fiction, TV, movies, and anything else that I think may be interesting and relevant. This is my thoughts on the little things I love.